19.09.2015. Twickenham, London, England. Rugby World Cup. France versus Italy. Referee Craig Joubert awards the try as Nicolas Mas of France forces the ball against the base of the post. 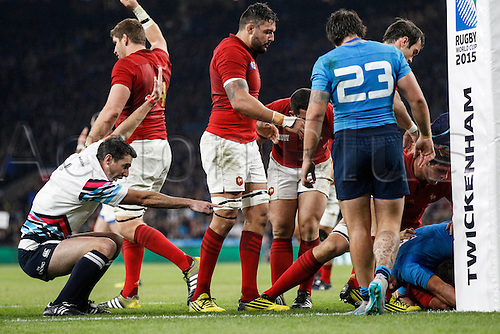 Final score: France 32-10 Italy.